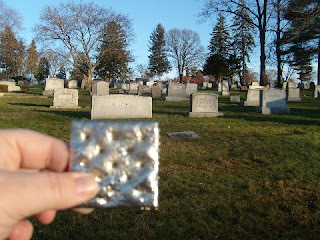 This is "Cracker" by Herbert Hoover (no, not that one, this one: www.herbhoover.com). 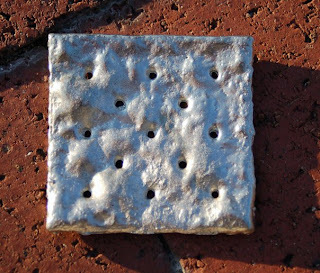 It's a pewter saltine cracker and this one is number 3451. This was my favorite because I like art (and food) that can be played with. What makes this so mush fun is there's a web site (www.crackertracker.net) where people have posted photos and stories of their crackers and their adventures. Stay tuned, I have a feeling ol' 3451 here will be making appearances there in the near future. For more, visit Clark Brooks blog Ridiculously Inconsistent Trickle Of Consciousness. My cracker was given to me by Herb Hoover himself! 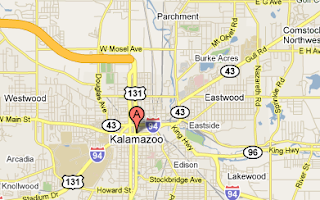 Yes there really is a KALAMAZOO. I think that this picture of Eli is pretty self-explanatory. 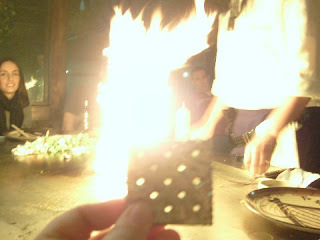 Liz Walker has created a blog for her cracker at Travels With Eli. 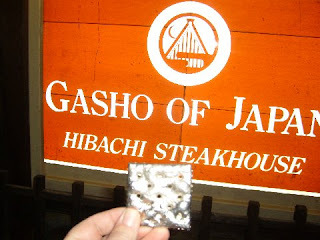 Check out her cracker adventures. 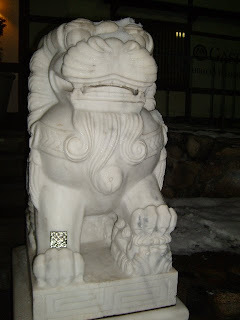 Eli thought that the stone lions outside of Gasho were pretty cool & wanted to pose with them. Even though Eli & I are NY Mets fans, we can appreciate a baseball legend just as much as the next guy! 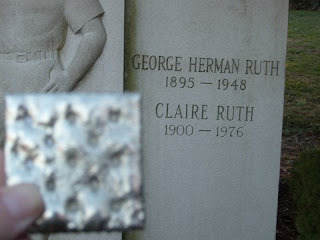 Here we are, visiting with Babe Ruth, who's buried at Gate of Heaven Cemetery in Valhalla, NY. Eli is a lot like me . . . he likes to visit cemeteries and just wander around with me. 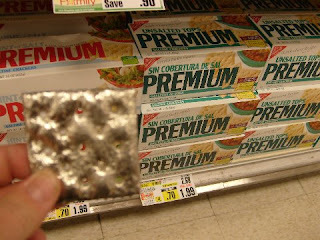 Eli, my new pewter cracker, visiting some of his cousins at Shoprite in Thornwood, NY. Eli was entranced with the food preperation & had to get a closer look. Please note that Eli is NOT on fire & no crackers were hurt during the course of the evening!